Updated Monday July 9, 2018 by Fred Steigerwalt. For the 3rd time in Hilltop history has a team won the Mid-Atlantic Regional Title. 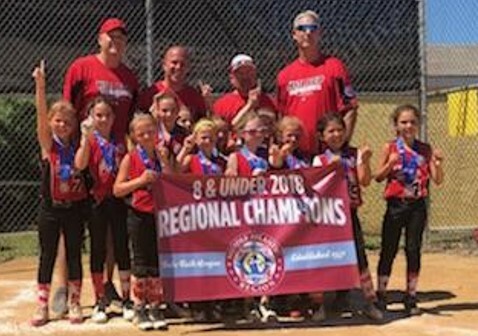 Congratulations to our 8u Softball team for winning that title. You are the best in PA. NJ, NY, DE and MD! See you at opening day for your board and jackets.